Growing up my mother always had a big obsession with ‘comfort shoes’, aka ugly shoes, so I thought. It didn’t matter how many times I would take her shopping and introduce her to a nicer pair of flat sandals, my mother would remain closed off and wouldn’t budge from wearing her Birkenstock’s, I swear she has more pairs than me. So when I started to see Celine and Givenchy embracing this trend, I didn’t know whether to embrace or run away from it, my mother couldn’t believe she was the trend setter, and not her daughter. My lust for slides continues to grow. So with summer approaching and the possibility of a European summer, I am beyond keen to pull out my Birk’s and embrace this trend that is being worn by both the middle age and 20 somethings. I always thought it wasn’t possible to have a comfortable, yet stylish pair of shoes, and admit my mother was right in saying when you find a comfortable pair of shoes, you will buy them in every colour. So I blame you, mother, for my growing addiction to every style of Birkenstock’s. 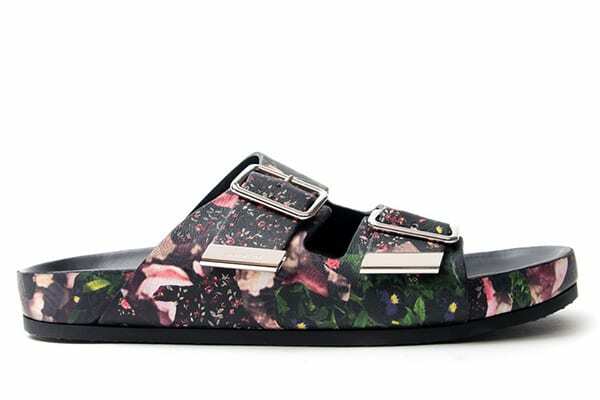 Givenchy taking Birkenstocks to a new level. My two favourite things, jewels and fur in one perfect slide, thank you Celine! While the stars choose to splurge on Givenchy and Celine, I will continue to wear my classic black Birkenstocks on every occasion, who doesn’t love comfort and style rolled into one!